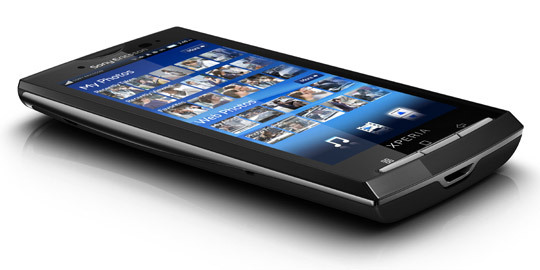 Sony Ericsson Tuesday (3rd) unveiled the highly-expected XPERIA X10 Android-based smartphone with the new UX interface platform, a Wireless Stereo Headset and a pretty neat set of features. Contrary to the rumors that spoiled this announcement, the XPERIA X10 will be running Android Donut (version 1.6) and not Éclair (version 2.0). The long list of features include a huge 262k color 4-inch WVGA (480 x 854 pixels) TFT touchscreen, 1GHz Qualcomm Snapdragon QSD8250, 1GB of internal memory, microSD card slot and an 8GB card included with the device. The camera on the X10 has 8.1 megapixels and it packs 16x digital zoom, autofocus, face recognition, geo tagging, image/video stabilizer and light, touch focus and video recording. Other features include a 3.5mm audio jack, Micro USB, stereo Bluetooth with A2DP, USB, WiFi, A-GPS, Media Player, auto rotate and gesture control. 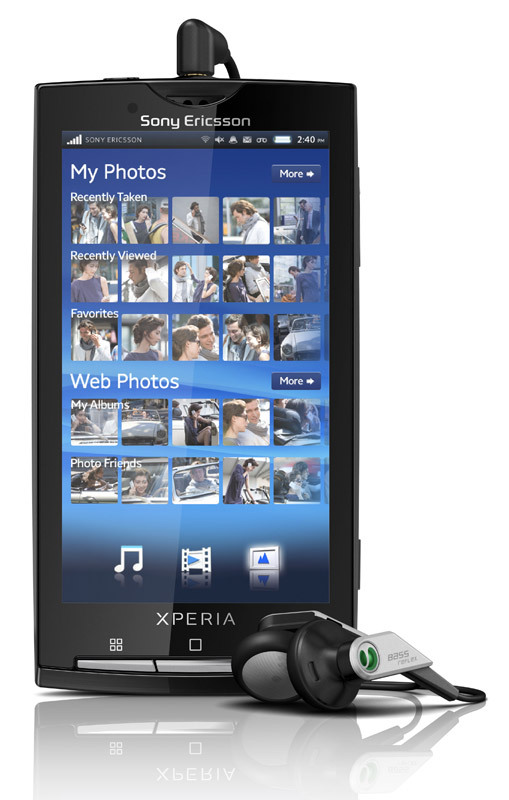 We have two new features with XPERIA X10’s user interface (Rachel), called Timescape and Mediascape. As Sony described it, Timescape is an application that manages all your communication with a person in one place, allowing you to browse through FaceBook, Twitter, photos and email without changing apps. Mediascape is a similar app for accessing content like music, photos and videos from a single spot, getting it from your phone, YouTube Flickr or PlayNow. 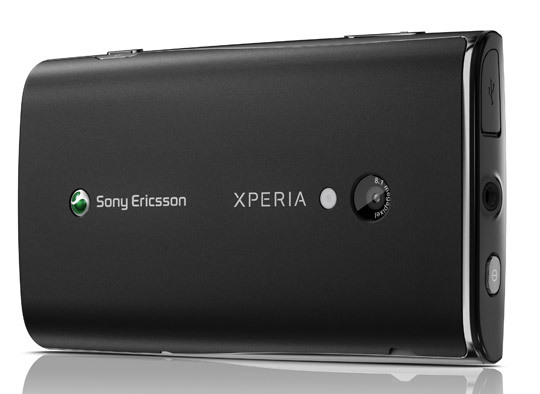 Sony Ericsson hasn’t given out any pricing details, but expect the XPERIA X10 to start shipping in the first quarter of 2010. We appreciate you another helpful web site. Exactly where more may perhaps I recieve that type of information written in such an excellent method? I’ve a vision that we are right now taking care of, and I’ve recently been on the check for similarly info. Does anyone have any encounter with the Philips MC235B Flat Wall Mountable Micro Shelf System I was thinking about getting it and just wasn’t certain if its the most effective 1 to buy. 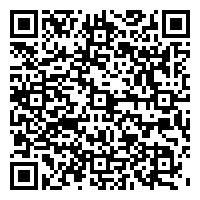 Android 1.6 isn’t so bad on the Sony Ericsson X10, but with Android 2.1 and Multtouch the phone would be a lot better. So I am really looking forward to the update.